Make short work of some of your toughest cleaning jobs with a little mineral spirits and the right technique. Commonly used as paint thinner, mineral spirits—an inexpensive petroleum distillate—is also a versatile cleaner. While you might not reach for it as often as a disinfectant spray, it’s highly effective at tackling some of the toughest home, yard, and garage messes. The trick is understanding what to use it on and how. Get to know this top-notch cleaner here. Once you’ve familiarized yourself with all of mineral spirits’ uses, you’ll be sure to rely on it time and again, all around the house. Because all three solvents are used to thin paint, some folks think they’re the same thing and use the terms interchangeably—but the differences are worth noting. While both paint thinner and mineral spirits are petroleum-based solvents, mineral spirits is the more refined of the two. This increases its effectiveness while reducing odor, volatile organic compounds (VOCs), and overall toxicity (which, with prolonged exposure, can cause eye and throat burning, coughing, headache, dizziness, and confusion; skin contact can lead to burns or irritation). Further refinement makes mineral spirits pricier than paint thinner—which typically costs around $12 per quart versus as little as $8 per quart of paint thinner. You’ll also find odor-free mineral spirits (about $15 per quart), the formula of choice for most do-it-yourselfers—it does have a slight smell, but nowhere near as strong as the regular variety. Plus, because the further refinement of odor-free mineral spirits removes most of the VOCs, it’s less toxic, a huge plus. Turpentine is distilled from the sap of pine trees, and is an effective solvent, but has largely been replaced by mineral spirits due to its strongly lung-irritating fumes and its powerful odor. Note that all of the above products are flammable and toxic to some degree, so should always be used with excellent ventilation, kept away from the skin and eyes (wear goggles and chemical-resistant gloves when handling) as well as any source of sparks or open flames, and disposed of properly (at a hazardous waste recycling center). You’ll want to have mineral spirits on hand if you’re about to tackle a painting project, but it’s also a great way to clean tools, remove sticky residue, and even get wood furniture or floors looking their best. Here are eight ways to put mineral spirits to use. Clean paintbrushes and other painting tools. Remove oil-based paint from paintbrushes and rollers as soon as your painting task is done, ideally before paint fully dries. Fill a small container with mineral spirits, and then dip the painting tool up and down in the solvent. Encourage paint to release by lightly pressing the brush or roller against the sides or bottom of the container. 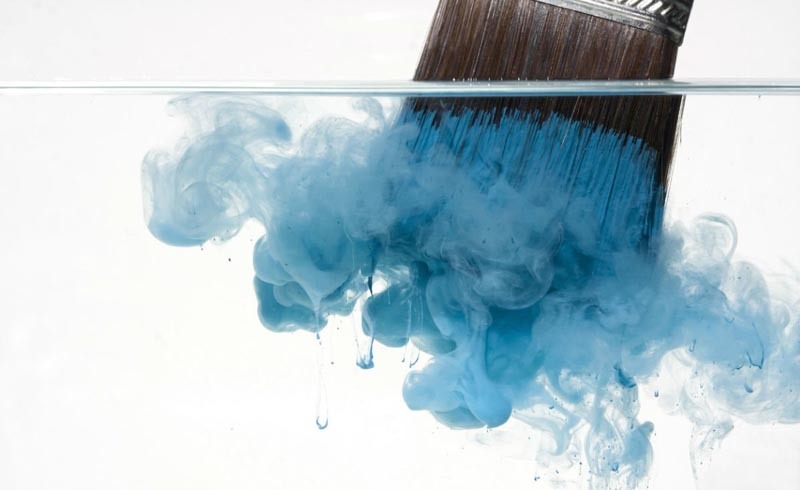 If the paint has already dried, try a paintbrush comb to loosen it up. Continue dipping until the paint is gone, blot away excess solvent with a clean rag, and then let your brush air dry before storing it. Thin any oil-based paint to your desired consistency with mineral spirits (latex and water-based paint can separate when exposed to mineral spirits). If you’re painting a wall or other large surface, mix the paint and mineral spirits in your painting bucket or tray. For smaller jobs, such as touching up small scratches on furniture, mix paint and solvent on a painting palette or in a small bowl. A rough rule of thumb is one part mineral spirits to every three parts of paint; increase the amount of mineral spirits slightly if you aim for a slightly transparent finish. Auto buffs and cyclists who do their own repairs will appreciate how mineral spirits makes quick work of gunky, dirt-and-oil buildup on car engines, bicycle chains, and the like. For small parts, submerge the metal piece in a container of mineral spirits to loosen grease, and then use a scrub brush to remove any remaining grime. Clean larger parts that aren’t easily submerged with a mineral-spirits-soaked rag. Once the grease is gone, wipe away excess solvent with a clean, dry rag and continue onto the rest of the maintenance checklist, relubricating with fresh oil as necessary. Oops! You spilled oil-based paint on the floor. Dampen a clean rag with mineral spirits, and then quickly wipe away the paint before it dries. If it’s already dry, apply elbow grease—the spot should clear with some scrubbing. 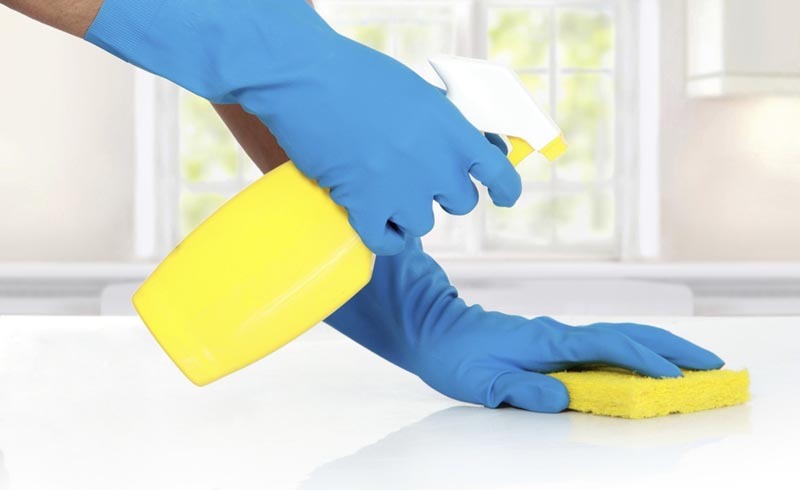 You can safely use mineral spirits to remove paint from most hard floor surface, including tile, linoleum, laminate, and wood without a wax finish, but before getting started, test a small, inconspicuous spot to be sure the solvent doesn’t damage the floor’s finish, and use the mineral spirits as sparingly as possible to get the job done. Wipe away sticky price tags residue. Your new dishes would be beautiful if it wasn’t for the annoying residue left behind by the price tags. Simply pour a little mineral spirits onto a rag or paper towel and wipe the glue residue off the glass, porcelain, or glazed clay surface. Once it’s gone, wash the dish in warm, soapy water as usual. Clean scuff marks off your floors. Before banishing ugly black scuff marks on linoleum, wood, laminate, tile, and vinyl floors, patch test mineral spirits in a hidden spot to ensure it won’t harm the finish. If all’s well, dab at the scuffs with a mineral-spirits dampened paper towel or rag until the mark is gone, and then wipe away the solvent residue with a damp rag and a few drops of dish soap. Clean and restore wood furniture. If unpainted wooden furniture looks dull and grimy, use mineral spirits to restore its good looks. Although considered safe on wood with a clear finish, including lacquer, shellac, polyurethane, and varnish, to be safe, always test an inconspicuous spot before applying mineral spirits to the entire surface. Then, dampen a clean rag with the solvent and buff away the grime, working in circular motions across the wood’s surface. Once all of the dirt and grime is gone, use a clean, dry cloth to buff the wood until the shine is restored, followed by a protective coating of wax, if desired. Get garden tools shiny (and less sticky). Are your loppers or your garden saw gummed up with sap? Remove the sticky stuff by submerging the tool in a container of mineral spirits or, if the tool is too large, wiping it with a mineral spirits-soaked cloth. Once the sap is gone, use a dry cloth to remove solvent residue.